Life Cola by WRI Enterprise. Supplier from Philippines. Product Id 861297. Percent reni values are based on pdri 2015 reference adult requirement of 19-29 years old. Notice: if a product is specifically intended for a different age group, percent reni values are based on the appropriate values from pdrl . In the suggested nutrition information format,declaration of calories from fat is not mandatory and cholesterol shall be aligned with total fat. The % daily value (% dv) tells you how much a nutrients in a serving of food contributes to a daily diet. 2,000 calories a day is used for general nutrition advice. 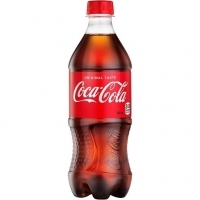 Product type: carbonated drinks Brand name: coca cola Shelf life: 12 months Text: Vietnamese Place of origin: Vietnam Delivery detail: 10-14 days. Carbonated Soft Drinks - Sprite We can offer Coca Cola products direct from factory in Germany / Denmark /Poland . Due to our big worldwide sales we have very competitive prices for all kind of products. We can offer the following product types what can be mixed in same container or loadment - Coca Cola Regular / - Coca Cola Light / - Coca Cola Zero / - Coca Cola Life - Fanta Orange / - Fanta Lemon / - Fanta Zero / - Fanta Raspberry & Passion fruit / - Fanta Exotic / - Fanta Strawberry & Kiwi - Sprite Zero / - Sprite Packaging types: 0.33l can / 0.5l pet bottle / 1.5l pet bottle We deliver always fresh stock as it will be loaded direct at Coca Cola factories (Germany/Denmark/Poland) or different products can be mixed up at our warehouse in Germany (only full pallets per type) . Usage : Sagar Cola is used as refreshing & energetic drink. Sagar Cola drink ingredients: Carbonated water (6-Stage treated ),Sugar, Permitted class –II Preservatives ,Phosphoric acid ,Caffeine ,Permitted natural color & Added cola flavors (Nature identical & artificial flavoring substances). contains no fruit. Microbiological Status : Sagar Cola is free from any pathogenic bacteria. The product is safe to human health from the microbiological point of view Preparation: The preparation process includes batch preparation, carbonation, proportioning, filling & packing. Packing : Sagar Cola is packed in 300ml, 600ml and 2 Liters pack sizes. Pet bottle duly labeled and further packed in corrugated boxes. Storage Recommendations: The finished product can be stored at ambient temperature, under normal condition. Higher temperature & sunlight should be avoided to enhance shelf life. Naraya is range of tasty carbonated drinks that comes in 5 interesting flavours. Cola, Sarsi, Cream Soda, Tutti Frutti, Grape. We are a manufacturer of Carbonated and Non Carbonated Drinks. We also provide OEM services for private brands. We can pack 250ml and 325ml aluminum cans Shelf life : 2 years Packing : 24 x 325ml Brand : Naraya. 24cans x 325ml. Search More Like "Life Cola"